Facebook has dealt with a recent torrent of bad press on a variety of issues, ranging from privacy, data-sharing, content moderation, election interference and more. So, perhaps not surprisingly, a recent survey from digital publication Quartz found that Facebook is the least-trusted major tech company. The news outlet surveyed 1,600 readers and asked them “Which companies do you trust with your personal data and information?” The survey then presented readers with a list of 25 brands. Facebook was the brand selected least often, with just 21 percent of people picking it. 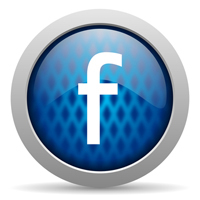 That means nearly 80 percent of respondents trusted Facebook the least. Amazon ranked the highest with a 50 percent trust level. However, there is some cognitive dissonance between how people feel about Facebook and how they actually interact with the site. After all, the social media platform has over 2 billion active users, which means people who use it monthly. So while users may not trust Facebook, they log in anyway—and willingly share their personal information with the site. Nevertheless, this is clearly an issue that bothers Facebook; after all, this is the company that just released a full-page ad in The New York Times trying to reassure users that it’s doing everything it can to protect the sanctity of elections. But despite the company’s PR efforts, it’s clear that a healthy share of users still aren’t willing to trust it.